What does it mean for students when a college adopts a test-optional admissions policy? Does testing become irrelevant for all students applying to that institution? Not remotely. Admissions tests continue to play a pivotal role at many test-optional colleges and universities. Let’s take a closer look at these policies and how they work. A decrease in the number of lower-scoring incoming students with reported scores, resulting in a potential increase in the reported average test scores for admitted students. In some cases, increased diversity, though this finding has been challenged. While many schools may indeed see a benefit in enabling students to focus on the non-testing aspects of the admissions application, it is important to remember that a variety of factors are at play when a college or university chooses to go test optional. Some parents have an idea that if a school is test-optional, test scores will no longer play a major role in admissions. This is a misconception. Test scores still matter at most of these schools, but a new lane has now opened up for students who have not attained scores that are competitive for that institution. When the University of Chicago adopted a test-optional policy this summer, some wondered if testing would cease to play a major role at Chicago. The University of Chicago is an incredibly selective institution, with middle 50% ranges on the SAT of 730-780 on the verbal section and 750-800 on the math section. They pick students with outstanding testing. In a move to increase access, they are offering free tuition for students with families who earn under $125k annually, and they are waiving the test score requirement. Still, the overwhelming majority of students will apply to Chicago with a very strong test score. Most likely ninety plus percent of students who receive an offer at Chicago in this current admissions cycle will have submitted a test score. We know this because of the submission rates at other prominent test-optional schools. Here is 2017-18 test score data for admitted students who submitted either the SAT or ACT at prominent test-optional schools. *Source – Common Data Set (CDS) 2017 – 2018. It’s evident that the overwhelming majority of students continue to send scores to these highly selective, test-optional schools. In Bill Hiss’s Defining Access study, he and his colleagues found that roughly 25% of students do not submit scores from his sample of 28 test-optional colleges and universities. Test-optional admissions has opened up a lane for students who do not test as well, while continuing to value strong testers who submit scores. Admissions officers know that a student who did not submit test scores likely did not hit a 35 on the ACT or a 1540 SAT. Students with great scores will naturally submit them, for they are an asset to an application and provide confirmatory evidence of a student’s academic strength. Admissions officers evaluate the non-submitters differently. There are effectively two admissions tracks with slightly different criteria. Providing evidence to this point, one of our colleagues, an independent educational consultant, shared the story of one of his students who applied early to a prominent, test-optional university. That student, who initially submitted her test scores, did not have scores that were highly competitive for that institution. 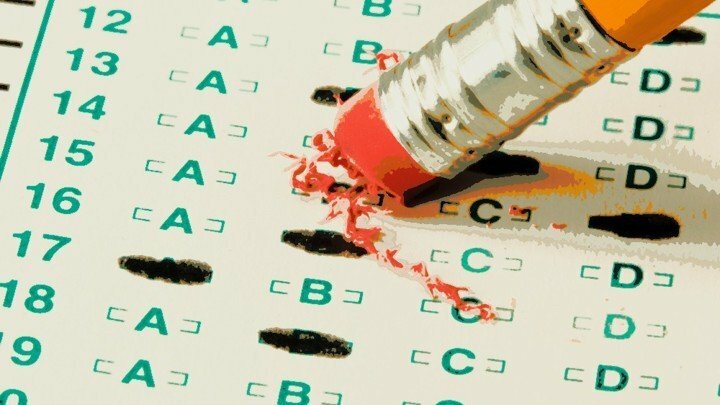 The admissions office reached out to ask if the student would be willing to be considered in the pool of applicants who did not submit test scores, in effect communicating that the student’s lower test scores would in fact be a liability to her application. This really hits home the point that test-optional does in no way mean test-blind. Rather, it means that scores still matter for most students, even at test-optional schools. These schools simply offer a second lane for lower-scoring students who might otherwise be qualified for admissions. Another thing that some parents are not aware of is how test scores factor directly into merit-aid awards for many colleges and universities that are test optional. While test scores are not required for admissions at these schools, we’ve heard from admission officers who candidly report that it’s nearly impossible for students who do not submit test scores to secure merit-based scholarships at their institutions. For many colleges the merit-based awards depend upon a rigorous schedule, strong grades, and solid test scores. As we move toward a landscape with more test-optional schools, be careful not to conflate test-optional with test-blind. Testing continues to play an important role for many students applying to test-optional schools and will do so for the foreseeable future. Students need to understand the specific admissions testing policies at each school then make an individualized determination, based on testing results and other application factors, as to which lane is best.